What the message of this church? Is there any kind of faith statement? Education Hour for adults, children, and middle school youth is weekly (September through May) on Sunday mornings starting at 10:00 am between our two morning services. This time frame includes the Plymouth Forum series. Children are always welcome in worship at Plymouth with all their wiggles, giggles and cries! To help our young ones focus, we have worship aids at the Children's Worship station just outside the main sanctuary doors. However, we know that for some kiddos sitting in a pew is hard. During each worship service, child care is available for children from birth to age 4. Our staff is well trained and they care deeply for your child’s safety and well being. Learn more here. Our ministers and other staff are available to meet with you, offer pastoral care, or just answer questions about Plymouth by appointment Monday through Thursday of most weeks. Our front office is open Monday through Friday from 9:00 am until 5:00 pm. We look forward to seeing you at Plymouth whenever you decide to visit us! You are always welcome here. We are located at 916 W. Prospect Road in beautiful Fort Collins, Colorado on the southwest side of Colorado State University's campus. We are an easy walk from anywhere on campus and the Campus West neighborhoods. 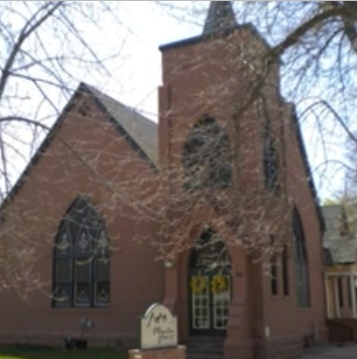 We have a large parking lot between Prospect Road and Lake Street and have a mutual parking agreement for overflow parking with our friends at the Islamic Center of Fort Collins next door on Lake Street. *Please observe signs and parking restrictions in the area. Public Transport: We are serviced hourly Monday through Saturday by Transfort routes #2 via Shields Street and #18 on Prospect Road and are only a 15 minute walk from the Prospect Station of the MAX Bus Rapid Transit and FLEX Regional Transit, both of which will soon begin offering Sunday bus service. 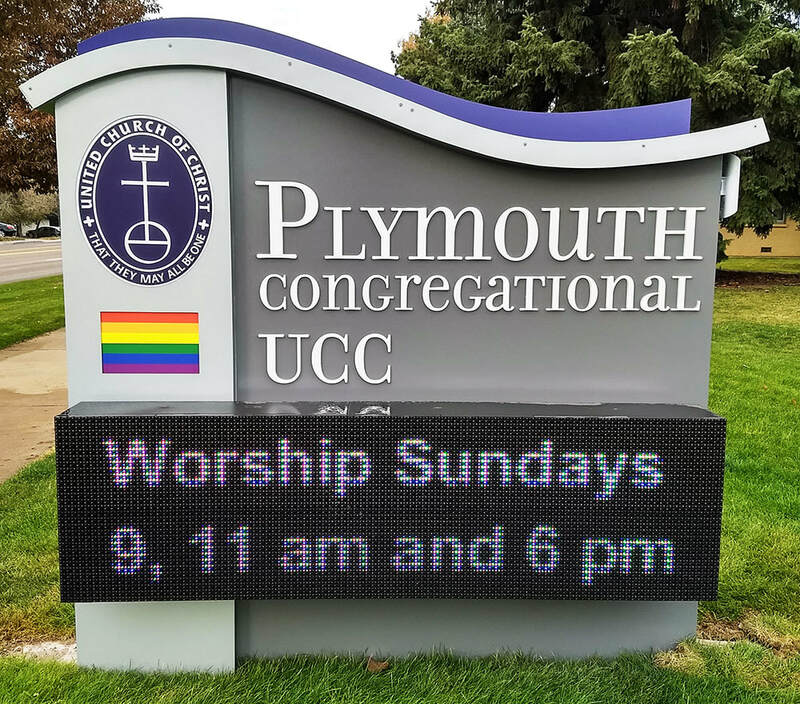 What Is the Mission of Plymouth UCC? Inviting: Actively inviting others into our faith community, providing a safe welcome for a diverse people. Transforming: Creating an open and affirming faith community with opportunities for caring and fellowship that deepen relationships and promote a spirit of unity. Encouraging the spiritual growth of our members and engaging their ministry by nurturing their relationship with God, calling forth their gifts, and equipping them for Christian service. Sending: Joining others within broader communities to promote the integrity of creation and a more just, inclusive and peaceful world. Some of us are history people and feel connected and grounded when we know where a place came from. At Plymouth, we have a member who acts as historian, and we have members who are keepers of our rich history. Plymouth is an historic church for modern times. We were founded in 1903 by German-Russian immigrants who worked the local sugar beet industry in the Andersonville neighborhood on the edge of town. Our mission to bring God's welcome to those living on the fringes comes out of that history and continues today in new and creative ways. Click here to go to a Youtube video about our history made in 2012.